It's Ben Simmons and then everybody else when it comes to the NBA's Rookie of the Year race. The Philadelphia 76ers and their fans had to wait patiently last year as much-heralded rookie Ben Simmons missed the entirety of the season due to an injury. This patience has paid off, however, as Simmons appears to be everything that he was touted to be, plus more. Ben Simmons' strong start, along with the struggles of top names such as Lonzo Ball and Markelle Fultz, has resulted in Simmons seemingly running away with the Rookie of the Year title, just a few games into the season. So far, Simmons' stat line has been eye-popping, as he has averaged 18.5 points, 9.6 rebounds, 7.9 assists and 1.5 steals per game. Simmons has exceptional vision on the court and seems to be getting better with each passing game. Lonzo Ball, who was widely considered to be Simmons' top competition for the award this season, has been very inconsistent. One game Ball will be nearing a triple ball, while the next game he will seem out of place and out of rhythm. Ball still has time to make himself competitive in the Rookie of the Year race, though he will have to become a much more consistent player. There are other names that are sitting on the periphery, though none are seen to be mounting a serious challenge to Ben Simmons at this time. 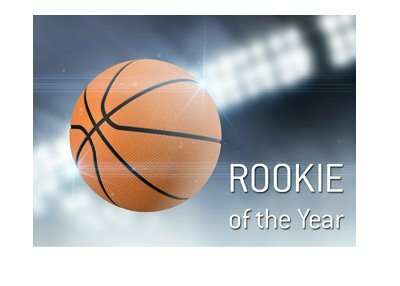 Barring some sort of a catastrophic injury, the market is saying that Simmons is a near shoo-in to win the Rookie of the Year award. As mentioned, it seems hard to imagine that Ben Simmons could lose the award at this point, barring some sort of an injury. It is a long season, however, so let's see what happens.